With Moveandstic you get so much play value for all of your family. The system is modular. You can mix all the kits to make one larger unit. Start with one of the basic kits and enlarge your construction by adding any of the other kits as often as you like. For a more sophisticated construction you can buy all components separately. A wide range of accessories increases the play value of Moveandstic. Amongst the accessories are: slides, pool, fun house, roof and balls for ball pits. Of course you can also buy the standard components like tubes, connectors or panels piece by piece. 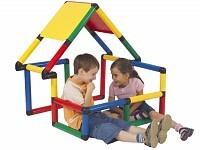 Moveandstic construction toys are ideal for your garden as well as for your kids' room. It is pure fun for all the family. 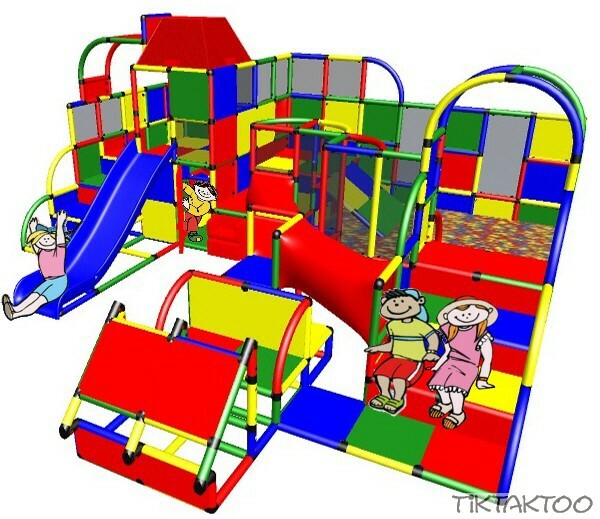 With the Moveandstic construction sets you can step into the wonderful world of Moveandstic. Profi, Junior, Starter, Basic and Easy. The newest parts in the Moveandstic universe: Step, Door, Window, Roof and Crawling Tube. Moveandstic parts and accessories at TikTakToo. Connectors, panels, tubes, slides, safety clips - find all for Moveandstic here. The Moveandstic Ball Cage Centre is especially made to be filled with Moveandstic balls. 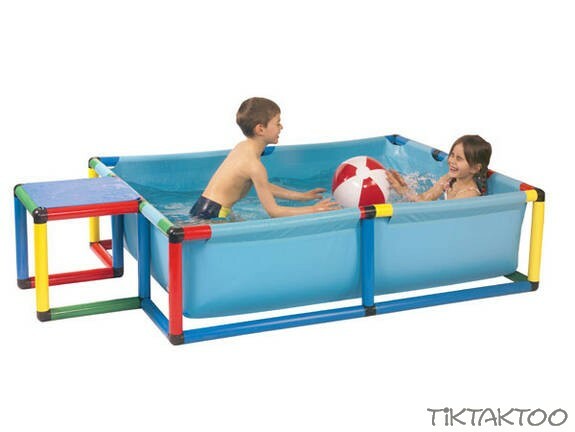 The Moveandstic Pool is a robust paddling pool for kids. 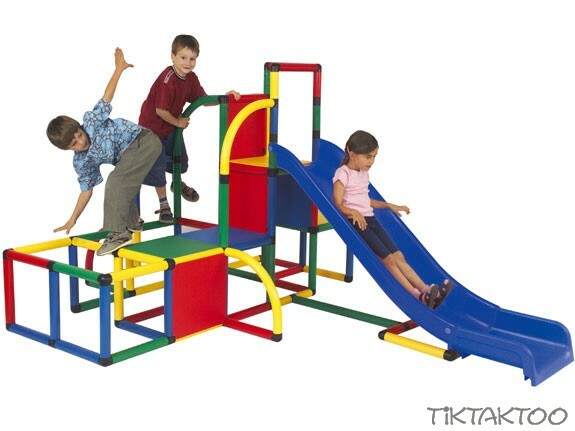 Moveandstic sets for toddlers with toddler slides and baby play gates. Medium sized play systems from Moveandstic. Climbing/Play towers and landscapes in medium size with slides, crawling tubes etc. Large play systems from Moveandstic at TikTakToo. Big climbing towers with slides, pools etc. Kid's Furniture built with Moveandstic tubes and panels. Chairs, tables etc. They can be converted or combined with other Moveandstic construction kits.